Based at Jubilee Lakes near Darlington. Easy access from Newcastle, Teesside, Teesdale & North Yorkshire. With the personal support of a family-run tackle shop. Visit us. Beautiful surroundings, secure parking. Don't be disappointed. Be certain you will like your new rod. Try rods on our lakes when buying. These days lines are as expensive as a rod. 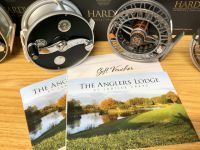 We have most of the flylines set up on reels for you to try. 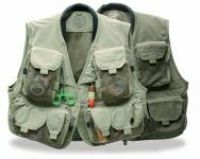 We specialise in fitting waders. As well as others we have all sizes of Vision Ikon & Keeper waders & boots in stock. Orders are dispatched daily, first class post or carrier. That's why our online customers keep coming back! We specialise. We have the stock. 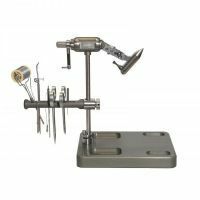 An Aladdin's Cave of essential fly tying materials from the very best suppliers. Jim Fearn here Saturday April 27th, 10a.m. to 2p.m. with Vision rods & Rio lines for Trout & Salmon. He'll give casting tips while anglers try rods and help to match up flylines. Need advice - Jim's the man! Always a good day & free!